Where’d You Hide My Other Sock? 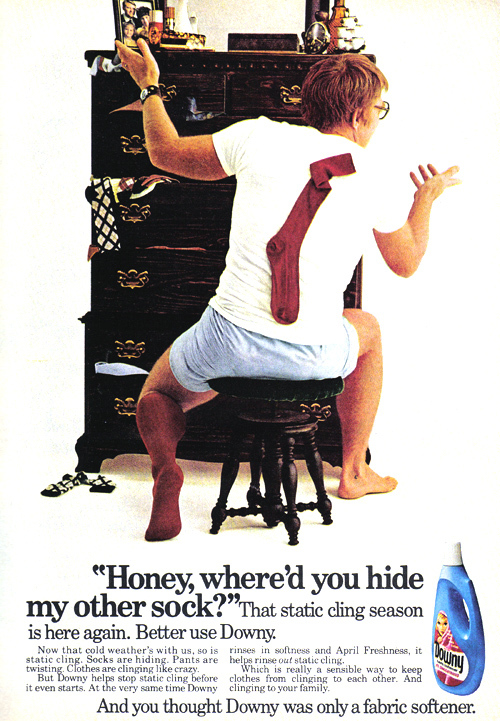 This entry was tagged ad, Downy, socks, vintage. Bookmark the permalink. ← Will Your Socks Stay Up There With You?